Hobbits & Hairdye: Whats made me happy this week? Whats made me happy this week? 1. Finally getting a new job, after nearly 4 years (on and off) working for the same company I can finally bid it adieu and welcome a new experience. 2. Salted Caramel & Chocolate cheesecake. So Yummy. 3. Getting started on my room revamp I'm feeling so DIY right now. 4. Breaking Bad. My Day today has consisted of binge watching it in bed -- just what sundays are for. 5. The first signs of autumn are appearing. 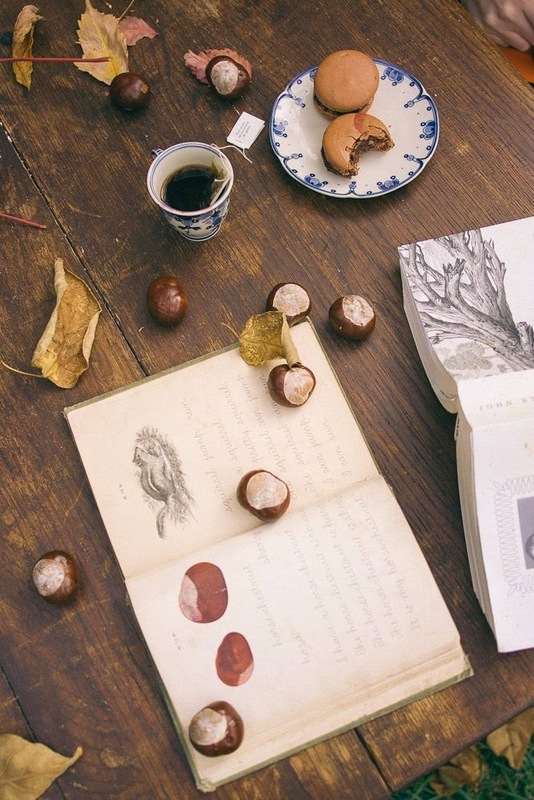 Crunchy brown leaves, conkers & a morning chill in the air. I simply can't wait. 6. Pinterest. After a brief spell away from it the love affair is back and bigger than ever. http://www.pinterest.com/HobbitsHairdye/ If you are interested. 7. Searching for Graduation dresses, so many pretties to choose from. 8. Booking driving lessons. Finally getting organised with my life. 9. Sunday morning run through the countryside. I know I promised y'all and myself that I would be blogging for the whole of September and I know I let everyone down. Massive apologies, I'm not going to make excuses but I do intend to redeem myself. As it is one of my most favourite months, i am going to do Blogtober! I will blog every day in October that I promise you! Whats made you happy this week? I@m watching my way through Breaking Bad as well, had never seen it before but I'm well into S4. Love it.